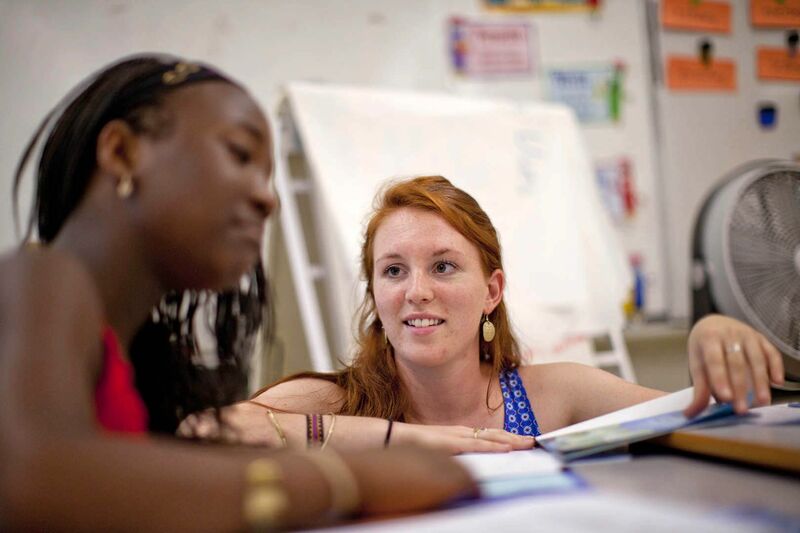 As a Bates student, Brenna Callahan ’15 helped run a literacy program at Montello School, a Lewiston elementary school about a mile from campus. That work often involved reading to the pupils. 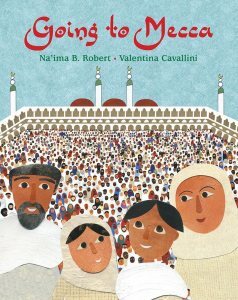 One day Callahan read the picture book Nabeel’s New Pants: An Eid Tale to a Muslim child. There is considerable power in children’s books. It’s a formative power, especially in the case of picture books for younger children, with their rapidly developing intellects and personalities. So what’s the formative impact on children of color when most picture books — as many as 90 percent — are all about white people? And if you want to lay hands on one of the relatively few books that feature diverse characters, what happens when the local library catalog can’t help you find them? And what if that library doesn’t even know which races or cultures are represented in its children’s book collection? Krista Aronson, associate professor of psychology at Bates, has devoted considerable time and thought to such questions. And she has an answer. First, there’s the Picture Book Collection, a comprehensive physical collection of some 2,000 diverse books. Housed at Bates’ George and Helen Ladd Library, the collection is nationally unique in that the books are available for anyone to sign out. Second is the Diverse BookFinder itself, a public database that went live this week. Designed to mirror the ever-growing Picture Book Collection, the DBF makes — for the first time — diverse picture books findable by both the human characteristics and, importantly, narrative messages that recur in them. Third is an analytical method, based on the Diverse BookFinder resources, that will enable librarians and other book curators to understand how diversity is represented in their own picture book collections. The Diverse BookFinder project, which recently received a grant of $250,000 from the federal Institute of Museum and Library Services, is a “potential game-changer” for parents, librarians, and teachers — anyone seeking diverse children’s books, says Cheryl Klein, a member of the Bates project’s advisory board and the editorial director for Lee and Low Books, which specializes in multicultural children’s titles. Aronson, who is biracial, studies how people, particularly the young, come to understand social constructs like race, and how such understanding affects interactions and psychological well-being. Her dissertation at the University of Michigan focused on identity development among African American teenagers and the role that parents play in the socialization process. The size of the black community in Ann Arbor ensured she’d have a substantial pool of research subjects. But when Aronson joined the Bates faculty, in 2003, that meant a move to the nation’s whitest state and therefore different directions for her research. The inspiration for one new direction came from one of her daughters, Sophia, and Sophia’s relationships with white and Somali children at school. Aronson discovered psychological research in England exploring how picture books affect children’s attitudes towards refugee children. Experiments had shown that when children take in stories about different groups of children getting along well, they in turn tend to get along better with peers who are different from them. Collaborating with Rupert Brown, a prominent social psychologist who studies prejudice and stereotyping, Aronson sought to follow up on and localize that prior research by studying children’s responses to books portraying interactions between white and Somali children in Lewiston. But no such children’s books existed. 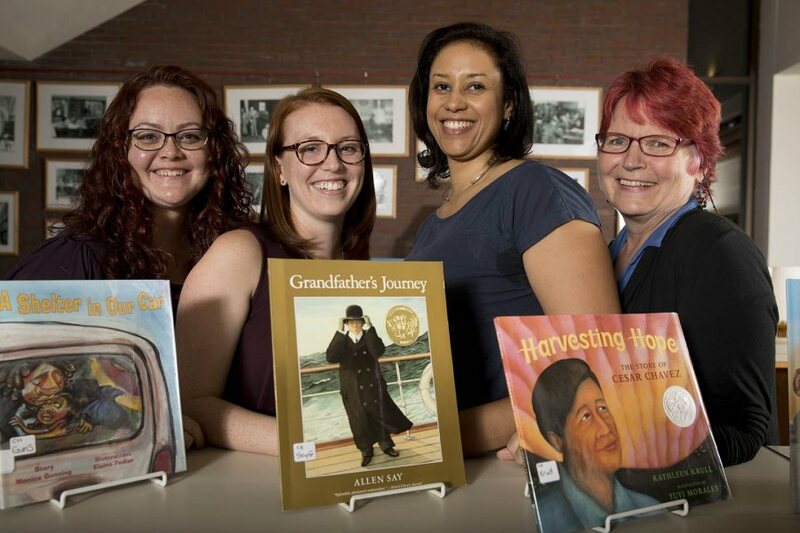 So one of Aronson’s thesis students, Elizabeth Ellman ’10, created stories under the guidance of two Mainers known for making diverse children’s books, writer Margy Burns Knight and illustrator-writer Anne Sibley O’Brien. O’Brien illustrated the stories for the research. 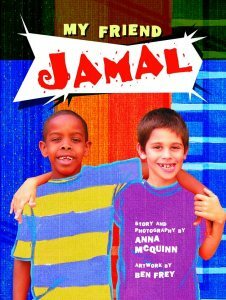 Conducted in winter 2010 with support from the college’s Harward Center, Aronson’s experiment confirmed that so-called cross-group picture books can indeed promote better relationships among diverse kids. “It was a wonderful learning experience for me and my students, and the community,” Aronson says. She and O’Brien went on to give a series of public workshops on the study. 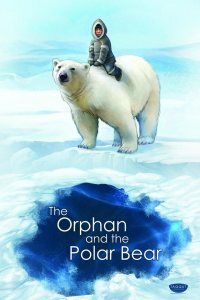 Raised in South Korea by white American medical missionaries, and deeply impressed by her experiences there, O’Brien has made it her mission to use children’s literature, as she says, to “explore and celebrate human difference.” She has illustrated 32 children’s books and written 14 of those books, including I’m New Here, a picture book about immigrant children that was a Kirkus Reviews Best Book of 2015. For both Ladd Library and the team that created the library’s Picture Book Collection, “it was an early decision that we needed to make this usable for as many people as possible,” says the library’s Christina Bell. The fact that the books of the Picture Book Collection circulate makes the collection nationally unique. Collections of diverse children’s books are not unheard of, but access to them is restricted. Books in the Bates collection, on the other hand, may be checked out in person by anyone with a Bates ID or Ladd courtesy card, or remotely via interlibrary loan. If access to the collection is straightforward, building the collection was anything but. “When we started this project I had no idea that it was going to be so difficult,” Aronson says. 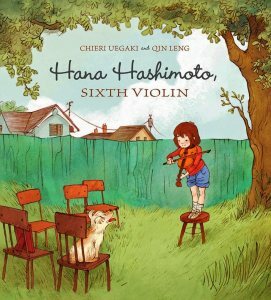 For one thing, diverse picture books continue to constitute a small fraction of all children’s titles. 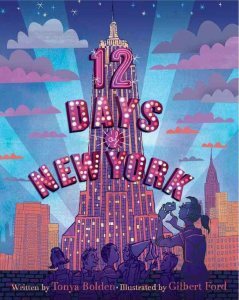 Ten to 14 percent of picture books that are published annually feature people of color, “and that number has not budged since the late 1960s,” Aronson says. 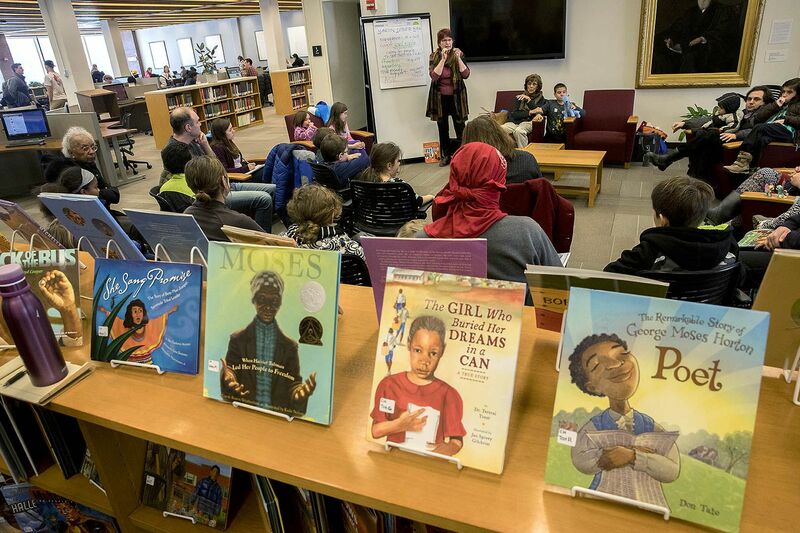 Yet, even as the proportion of diverse children’s books hasn’t budged, the proportion of diverse children has blossomed in the U.S., as O’Brien points out. 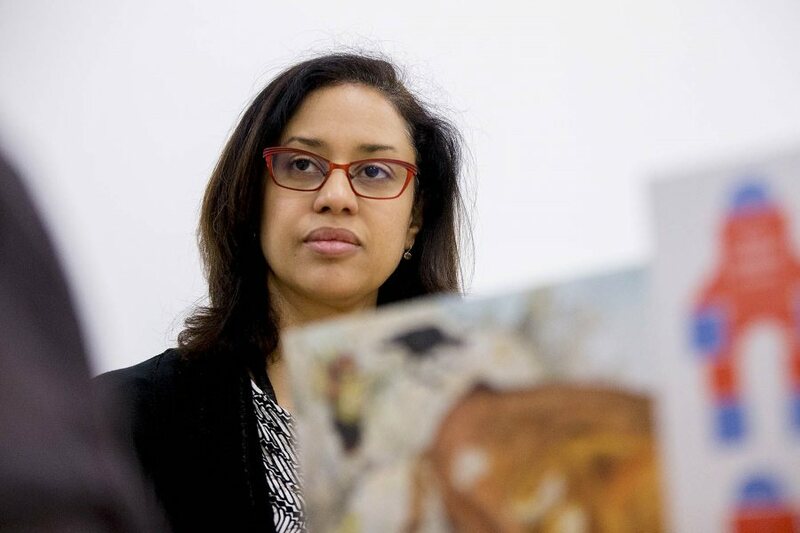 The paucity of books depicting people of color, she says, is “a crisis for all of our children, because it’s not healthy or useful for white children to only see reflections of themselves,” or for children of color not to see themselves in books. The Bates team’s book search led them to 111 publisher websites plus online resources including the I’m Your Neighbor website; online lists of titles, including World Full of Color; the database of Baker and Taylor, an important book distributor; and a list provided by the Cooperative Children’s Book Center, the site of a major diverse book collection at the University of Wisconsin–Madison. The search is a dynamic, grassroots process. “I learn of new publishers all the time,” Aronson says, “and people bring titles to me,” including a parent whose daughter had worked on thesis with Aronson, and who, at Commencement, recommended a book that she proceeded to add. The Bates team is taking its quest for picture book accessibility to a new plane with the online Diverse BookFinder. Because, after all, how valuable is a book that you can’t find? The online Diverse BookFinder website allows users to search books by title, racial group depicted, where the story takes place, and the narrative message within. If you go to your local library looking for multicultural picture books, it’s possible that the catalog won’t recognize the search terms that make most sense to you. Say you’re looking for The Sandwich Swap, a book about two best friends, one white and one Arab American, who have a falling-out over their lunches (peanut butter and jelly vs. hummus). 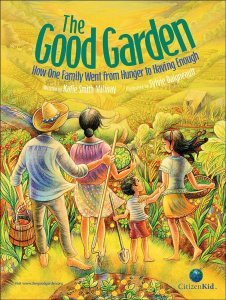 Even publishers themselves don’t necessarily make findable their own books featuring people of color. “It seems as though some, when they enter books, just don’t want to use any race, cultural, or ethnic labels,” Aronson says. As they amassed the collection, Aronson, O’Brien, and Callahan identified and refined nine recurring categories that the DBF associates with diverse books. The nine categories reflect various narrative messages that a given book is designed to convey. 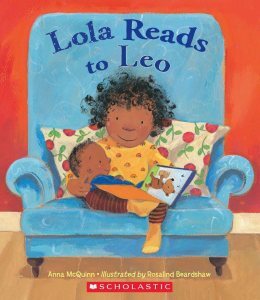 For example, “Cross Group” books like Anna McQuinn’s My Friend Jamal portray interactions of characters across racial or cultural difference, while “Any Child” books tell stories about characters of color where race, culture, or ethnicity are incidental to the plot. Any Child: Stories that depict characters of color but do not make race, ethnicity, or culture part of the plot. 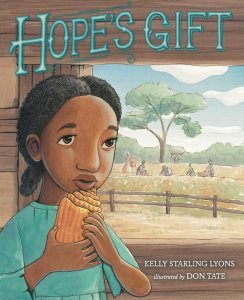 Any Child books can be identified as books whose characters’ race could be changed without changing the story line. Cross Group: Stories that portray interactions of named characters across racial or cultural difference, including those depicting same-age and cross-age friendships; the interactions depicted can be positive, negative, hostile, or ambiguous. Beautiful Life: Stories about a particular racial or cultural group experience that take readers into the everyday world of characters in countries around the world, with specific cultural components such as language, food, celebrations, and traditions. 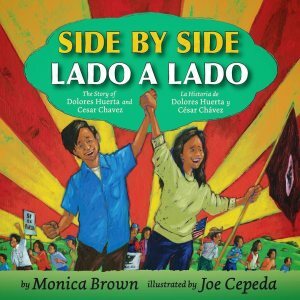 Race/Culture Concepts: Books that explore and compare specific aspects of human difference, inviting children to consider new perspectives related to racial, ethnic, or cultural identity. Oppression: Stories of prejudice, mistreatment, and discrimination based on race, ethnicity, or culture, such as stories focused on slavery, the civil rights movement, or internment. Folklore: Myths, legends, folk, and fairy tales that are set in a particular cultural context, introducing readers to traditions, activities, languages, and values. Biography: Nonfiction presentations, narrative or non-narrative, about the life of a particular person or group of people from a historical or contemporary perspective. Incidental: Stories that depict a diverse group of non-primary characters, or books with a diverse cast of background characters and a white protagonist. Informational: Nonfiction books presenting factual information, with or without a storyline; may be encyclopedic. Diverse communities are depicted but culture is not always central to the content. The team, supported during this phase of the project by library cataloging consultant Deborah Tomaras, also created other code sets that indicate where stories take place and what racial or cultural groups the characters represent. The racial-variables coding is unique to the DBF, and Brenna Callahan herself coded the collection’s first 600 books and then wrote about that work for her senior thesis, with Aronson as her adviser. Deployed in tandem with existing finding aids, the DBF promises to “really help people just cut through to what they’re after — which is the Holy Grail of publishing,” says Klein of Lee and Low Books. Alongside the Picture Book Collection and the Diverse BookFinder, the third piece of the project has been piloted and will be developed as funding becomes available: an online tool that can analyze a given collection of books for representational balance. The same coding that helps individual users find a book or two via the DBF also allows wholesale analysis of a particular collection or grouping of books — in a library, say, or in a publisher’s new releases for a given year — to reveal what messages the collection is sending and how it might be improved. “One library that we did this with,” Aronson says, “learned that 2.4 percent of their books featured human characters of color, and that 65 percent of this small proportion were African American characters” — though 19 percent of the population served by the library was Asian. On most Sundays, Aronson and her team members meet for tea and snacks, vetting new titles for the collection and plotting out objectives for the near- and longer terms. 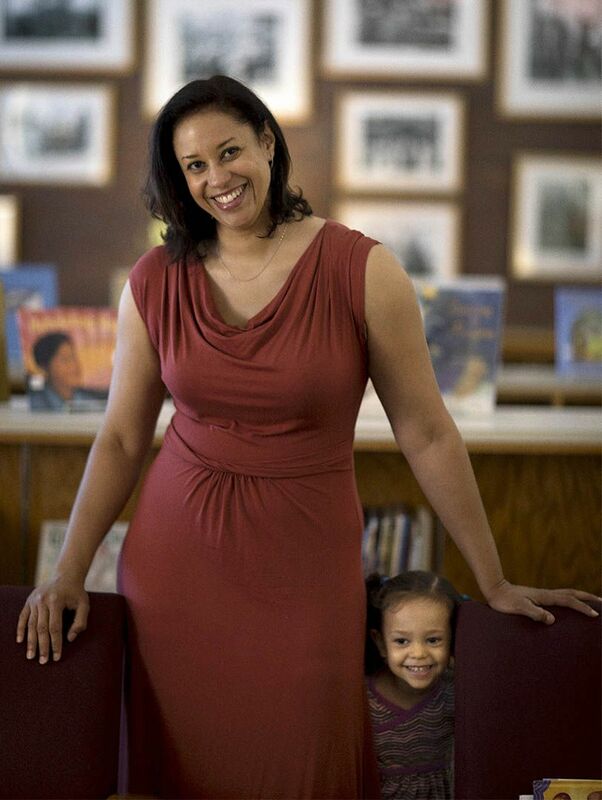 Krista Aronson poses in Ladd Library with her daughter Hope, age 2. Specifically, they’re pondering how or whether to represent book quality in the search language (“I can’t tell you that every book we have is of high quality,” says a diplomatic Aronson) and, perhaps more important, how to broaden their system’s definition of diversity. “It made the most sense to start with racial and ethnic diversity because that’s where the idea was grounded originally,” Aronson explains, referring to her cross-group research. But now, with a robust methodology in place, they can think about bringing in other dimensions of diversity. 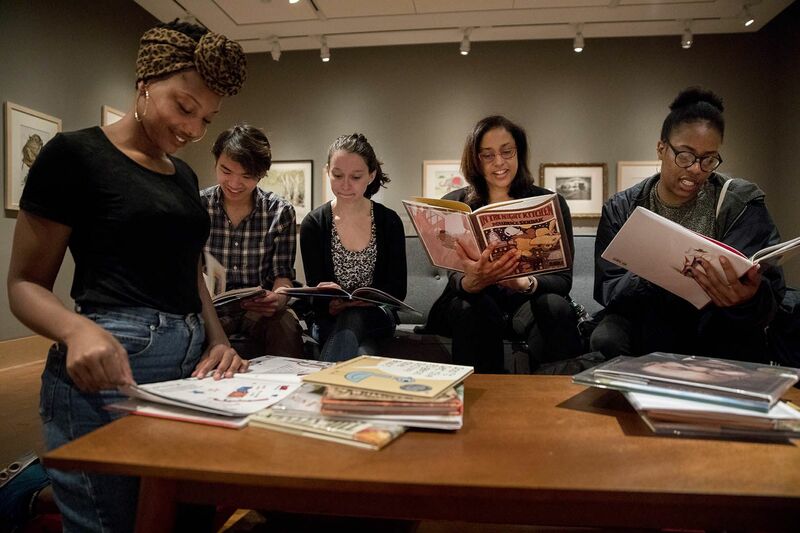 Aronson, who worked with students during Short Term 2017 to design a course using the Picture Book Collection as the basis for examining issues around children’s literature, says that she has “come to see picture books as socio-historical artifacts, as well as artistic artifacts. They capture our current thinking, I think, and ideas that we want to express to our children. 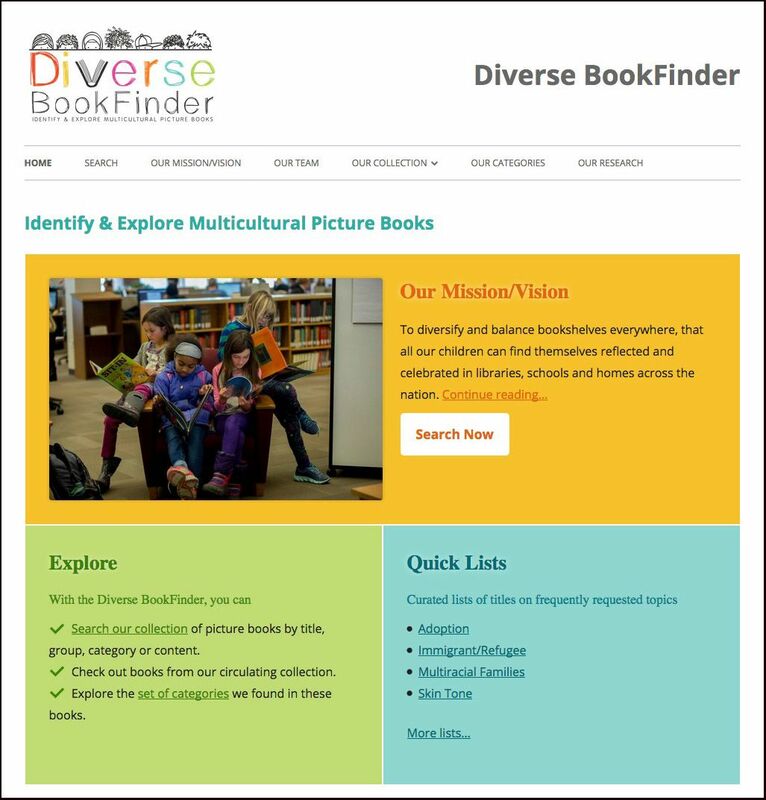 Supporters for the Diverse BookFinder include the federal Institute of Museum and Library Services and, at Bates, the Harward Center for Community Partnerships, the Faculty Development Fund, and Information and Library Services.